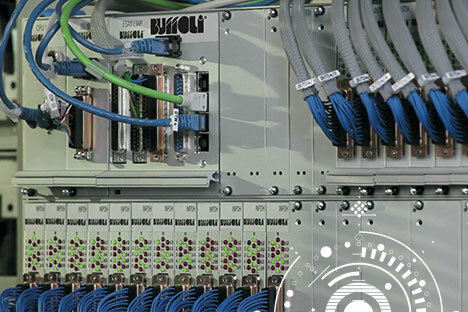 The Multiprocessing CNC designed by BUFFOLI is specifically designed for the control of parallel processes and the unique demands of a high performance transfer machine. 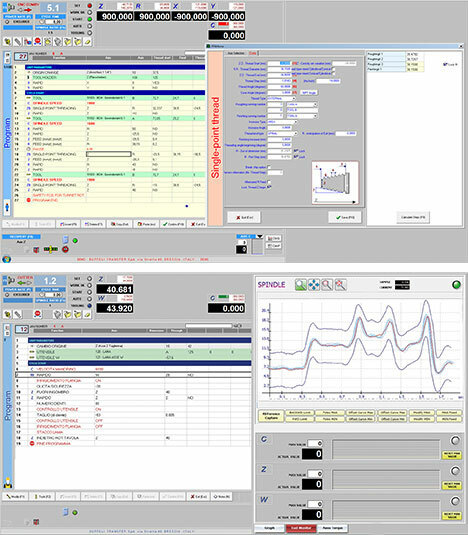 Graphic menus guide the operator through programming, set-ups and tool maintenance. The tool path can be verified through a graphic on the screen. Simple, quick change over allows for greater flexibility and efficient processing of medium and small batches. User-friendly shop language programming allows ease of use with the highest programming efficiency (No G or M codes). Graphic menus guide the operator through his choices step by step. The tool teach mode allows semi-automatic acquisition of dimensional data. Its unique characteristics demonstrate rapid learning and ease of use. Windows-type functionality (such as copy, cut & paste and insert/delete modes) minimizes programming time and effort. Off-line programming facilitates program portability, i.e. desktop, laptop, local network, etc. An advanced Multiple Tool Power-Monitoring system, fully integrated into our CNC, allows the detection of tool wear characteristics, simplifying the control of tool costs and facilitating process improvements.